Alison Chung joined the Houston Grand Opera in January 2016. 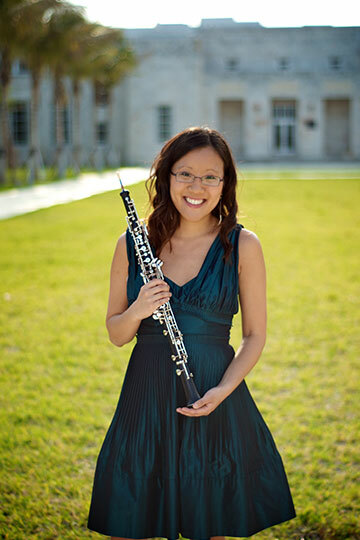 She previously was Acting Principal Oboe of the Florida Orchestra and the Buffalo Philharmonic Orchestra and was a featured soloist with both orchestras. She was a member of the New World Symphony and was Principal Oboe of the Grant Park Orchestra. She has also been Guest Principal Oboe with the Fort Worth Symphony Orchestra and New Zealand Symphony Orchestra. She earned her Bachelor's and Master's degrees from the Eastman School of Music, where she studied with Richard Killmer. She is also a member of the Houston Ballet Orchestra.